Do you have a cat that always gets into trouble? Want to make sure you’re kitty will always have the best health care? Our cats are the love of our lives and so it’s important to make sure we keep them protected. At PetCare we can ensure that you receive affordable cat insurance that will cover those pesky vet bills. Can you believe these are just a handful of problems your kitty can face? Vet bills stack up and so the cost of owning a cat becomes quite expensive. Here we have broken down the average cost to treat some common health problems your cat may face. Remember, the cost of treatment will vary depending on your location and vet practice. Accidents happen and veterinary bills pile up! At PetCare Insurance we know owners are looking for affordable cat insurance that will give them peace of mind knowing their kitties are well protected. Up to $100 in Behavioural therapy & Obedience training. Up to $50 in annual health check, vaccines, flea & heartworm control. Here at PetCare, we have two affordable cat insurance policies available for your cat. The first PetCare cat insurance covers up to 80% of your veterinary costs, but your pet has to be between 8 weeks to 9 years of age to get approved. The best part is that our policies start at just $1 a day. With PetCare cat insurance you won’t have to pay the excess and you will have an annual benefit of $3000 for an accident and an additional $3000 for any illness your kitty may get. Now if you’re looking for a cheaper premium for your indoor kitty. Then have a look at our affordable cat insurance for indoor cats. 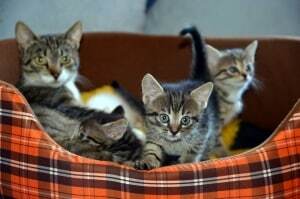 This Cat policy has a low-cost premium for indoor cats and has an annual benefit limit of $5000. We know you’re indoor kitties probably hate going out to the vets. Well, don’t you worry, we’ve got you covered for that! With indoor Cat insurance, you can invite your veterinary for home visits so that your kitty remains happy. Cat insurance premiums are often calculated based on your cat’s age, breed, and location. Sometimes, it’s hard to figure out what sort of policy may be best suited for your precious kitty. Get a quote about the best cat insurance for your cat here. We love our cat and want to make sure they are protected. Looking into cat insurance will not only protect our cats but also protect our wallets from those rising vet bills! Got a question about cat insurance? Still not sure what’s best for you? Let us know!